Fleas are tiny, bloodsucking parasites that can feed on your dog or cat. Flea bites are very itchy and can even be a health risk for pets — these tiny pests can even infest your home! Rest Easy Heat, the Seaside Heights flea control experts, have prepared a guide to help you fight fleas. Fleas are about the size of a grain of rice (1/16 to 1/8 inch long). They’re a dark, reddish-brown and can be easily mistaken for specks of dirt. If you look closely at a flea, you’ll notice its body is covered in many spines and hairs. Fleas also have long, strong back legs, which are well-adapted for jumping. Flea infestations are a health hazard for pets. Flea bites can be very itchy and pets may scratch incessantly, which can lead to wounds or skin infections. However, bites don’t need to be itchy to be dangerous! Fleas are known to transfer parasites, such as tapeworms. If pets are heavily infested with fleas, they can even get anemia due to blood loss. Surprisingly, fleas will feed on people, too. These bites often cause itchy, painful red bumps. In rare cases, they can even transmit serious diseases such as the bubonic plague and murine typhus. Flea infestations are less common than they used to be, thanks to effective flea control products. However, if fleas do manage to invade your home, there are steps you can take to eliminate them. Vacuum your carpet thoroughly, then steam clean or shampoo it to guarantee all the fleas and larvae are gone. Infested bedding, clothing, and similar items can be laundered and then dried on high heat to kill fleas. Call your vet to see if they have a flea shampoo they’d recommend for your pet as well. Pest control professionals can apply insecticides to control fleas indoors. Since flea eggs can hatch for one month after a treatment, a second treatment may be needed. Be patient, and you can reclaim your home from the fleas. 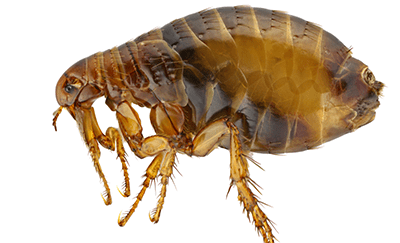 Fleas can cause serious problems for pets and people, but they can be controlled. 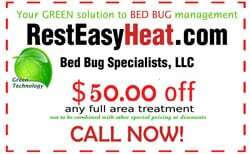 For help preventing or controlling fleas, you can rely on the Seaside Heights flea control specialists at Rest Easy Heat.